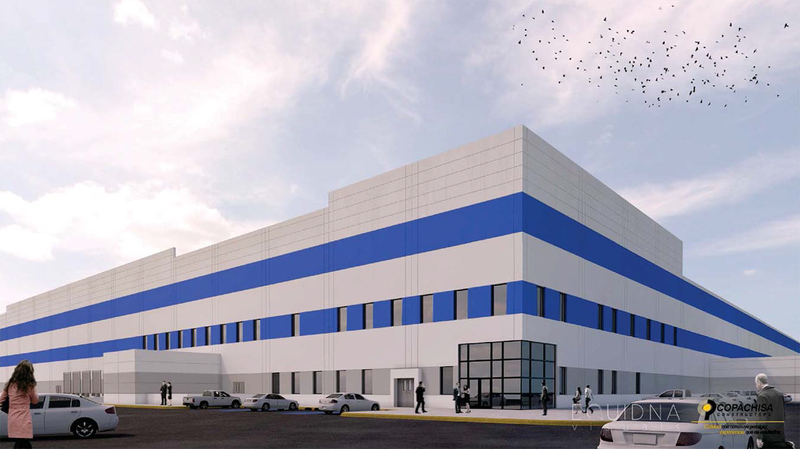 Rendering of TPI manufacturing plant to be built in Mexico. EL PASO, Texas –CBRE announced the development of a 360,000-SF manufacturing plant in Ciudad Juárez, Mexico, for U.S.-based TPI Composites, a leading global wind blade manufacturer. The plant, TPI’s second in Juárez, is currently under development on 62 acres by Vesta, a leading industrial developer in Mexico. TPI’s manufacturing capacity in Juárez will be used to supply Gamesa projects in Latin America and the United States. “The relationship between CBRE and TPI has spanned more than a decade with five significant real estate projects totaling almost 1.5 million square feet in the U.S. and Mexico. The latest facility is a signature development for the City of Juarez and it was exciting to be involved with TPI as they continue to grow their business,” said Christian Perez Giese, Senior Vice President and Director of CBRE’s El Paso/Cuidad Juárez office. Perez Giese represented TPI in the site selection and the negotiation of the build-to-suit lease. The company considered several industrial sites with a handful of the top industrial developers in Northern Mexico competing for the project. Construction is slated for completion in late 2016 and the site has room for future production expansions. The company also operates factories in the U.S., China and Turkey.